WOW!! 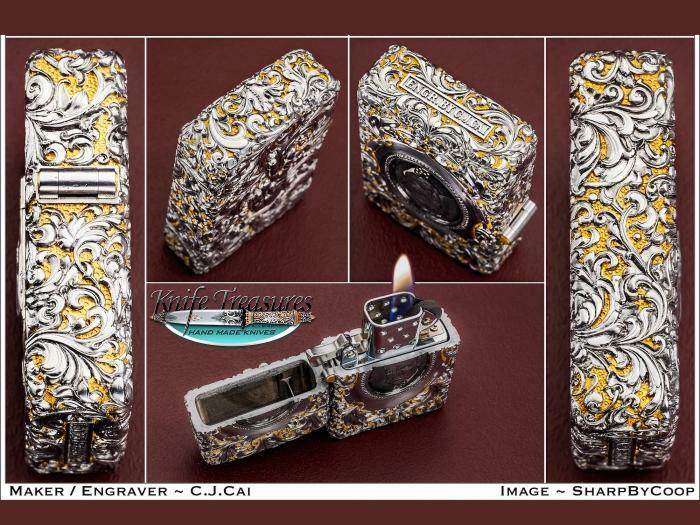 An Amazing hand made lighter by Jeff Lin from China. 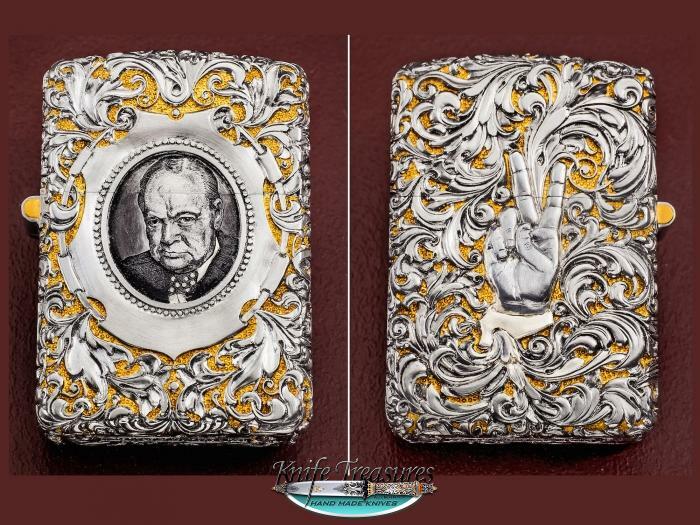 This beautiful piece is made with 410 Stainless Steel and it is 2MM thick. 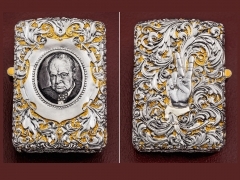 CJ Cai then spend a total of 780 hours engraving this Beauty with a Winston Churchill Theme. 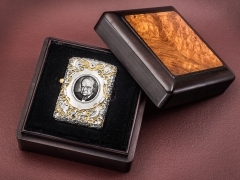 The engraving was done in a few different techniques. He used sculpture, the scrolls were made in a "turning, twisting, rolling and rounding" by graver and oil stones. CJ put over an ounce and a half of 24 Karat Gold into the background of the lighter. 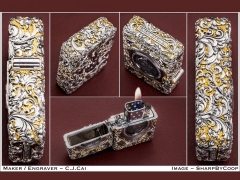 The lighter was made to accept a "Zippy" lighter insert. A true Masterpiece! CJ won the "Artistic Uniqueness Award" at the 2017 FEGA (Firearms Engravers Guild of America) Show in Las Vegas in January.